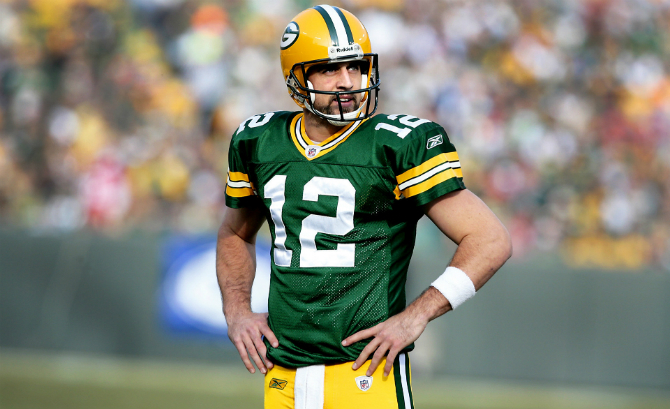 Aaron Rodgers and the Packers have been befuddled of late, dropping four straight games. The Falcons still lead the NFC South, but only by one game over the surprising Buccaneers. Arizona has vastly underachieved this year, and it may be taking a physical toll on its coach, Bruce Arians. Here’s thinking the Cardinals muster up a good-enough effort in a game in which most of the pressure is on the Falcons. Pick: Cardinals. The jig is up for the Bengals. Five straight playoff appearances without a single win equals bad karma, and it’s catching up to the injury-ravaged Bengals. The Ravens need this one badly with Pittsburgh winning its game in resounding fashion on Thursday, and there is some payback at stake for Baltimore. The Ravens have lost five straight to the Bengals, and even their last win in the series took surviving a game-tying Hail Mary at the gun in 2013. It’s time to reverse the trend. Pick: Ravens. The Jaguars have actually beaten the Bills five of the last nine meetings, but there isn’t any way to sugarcoat that they flat-out stink. The Bills are in the hunt for their first playoff appearance since 1999 and will have a healthy LeSean McCoy and Sammy Watkins. That should be enough to cover against the lowly Jags. Pick: Bills. The weird stat here for both teams is their record vs. the spread. The Rams are actually 3-1-1 ATS on the road, while the Saints are just 2-3 at home despite being 5-0 on the road. The Rams have a stout defense that seems to keep them close in every game, and the Saints are not the juggernaut they used to be. Though an upset might not be in the cards, expect the Rams defense again to compensate for any rookie mistakes made by Jared Goff, who will be starting his second career NFL game. Pick: Rams. Is this the week for the Browns? Probably not. The Giants have only lost once to the Browns since 1985, but that one was noteworthy. It was in 2008, when the 4-0, defending world champion Giants were bludgeoned on a Monday night, 35-14, by a Browns team that ended up 4-12 that year. Could history repeat itself? Avoiding an 0-12 start is a long shot, but the Browns are so desperate to just be competitive in a game that the Giants may not run away with this one. New York has quietly gone 7-3, winning the games it is supposed to (not to mention being the only team to beat Dallas), but the G-Men haven’t been overwhelming, either. In a bold pick, the Browns will only lose by seven. Pick: Browns. Houston is unbeaten at home, but coming off a short week playing out of the country and losing to another AFC West team. In to town come the Chargers, who never cease to amaze in finding new ways to lose. But they have gone from slight underdogs to 2.5-point favorites, telling me the insiders know something the general public doesn’t. Pick: Chargers. The Dolphins have won five straight for the first time since 2008, a year in which they won the AFC East behind Chad Pennington. That year they were almost upended at home by the 49ers, losers of nine straight here in 2016. Though it feels a bit risky to give the Dolphins seven points, the 49ers are so awful that an eight-plus-point win is well within reach. Pick: Dolphins. The Bears are a lost cause, and are turning to Matt Barkley at quarterback. The Titans as a six-point favorites feels a little dicey, though, especially on the road in chilly conditions. Looking to get to .500, the Titans should be able to pull out a win, but it isn’t likely to be easy. Pick: Bears. The Buccaneers have the second-best road record in the NFC at 4-1, but can’t win at home. They are 1-4 at Raymond James Stadium, and here come the Seahawks, possibly the NFC’s best all-around club. Seattle has found its mojo after its epic road win against New England, and should continue its roll against a Bucs team that is making progress with young Jameis Winston, but may not quite be there yet. Pick: Seahawks. Oakland is only favored by 3.5 against the 4-6 Panthers, huh? Maybe the oddsmakers once again know something we don’t. Or maybe they figure the short week could hurt the Raiders, co-owners of the AFC’s best record at 8-2. But this just isn’t Carolina’s year, and the Raiders have officially taken the next step. The Cats could come away with a win, but the Raiders keep finding a way, so I have to go with them in this spot. Pick: Raiders. No way the Jets stun the Patriots at home two years in a row, especially with Ryan Fitzpatrick at the helm for the Jets. If you’ve ever wondered about any “secret sauce” to the Patriots success over the past 16 years, look no further than the Jets (and Dolphins and Bills). As has been their custom, every time the Jets experience a glimmer of hope, it quickly turns to mush. At 3-7, Gang Green has little to play for, but does usually keep things tight with New England. If Rob Gronkowski misses another game, the Jets could do just enough to cover, simply because no one expects them to. The Patriots will undoubtedly emerge from MetLife Stadium at 9-2, but it might be a bit of a grind. Pick: Jets. So you want the AFC West on a platter, do you? NBC flexed this matchup to showcase the defending world champs against the surging Chiefs, who were stunned by Tampa Bay last week. KC has won 18 of its last 21 regular-season games, but Denver just seems to have good mojo at home, especially in prime-time. After a scintillating win in New Orleans two weeks ago and then a bye, the Broncos should be well-rested and feeling good against a Kansas City team that, frankly, has overachieved greatly under Andy Reid once again. Pick: Broncos. Do I dare go back to the well one more time? I didn’t think it was possible for the Packers to lay yet another egg last week, but they did so in DC, permitting 42 points to the Redskins. The Eagles are officially back to earth at 5-5 and rookie QB Carson Wentz has struggled of late, meaning the Packers may be able to finally right the ship. At least for one week, anyway. Pick: Packers. Be the first to comment on "NFL Week 12 Picks: Post-Turkey Madness"